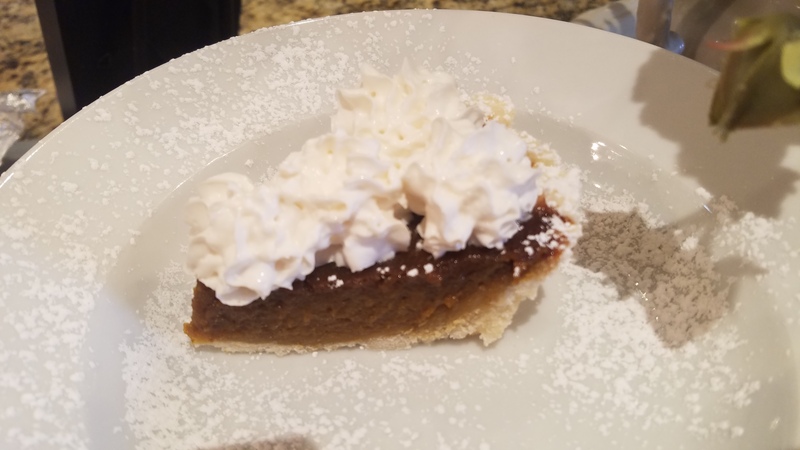 It is the whole package when you can have the cream too:) So this pie turned out great! Here is the recipe I got a long time ago from my cousin. I don’t know where it is from or if she made it up, but it’s great:) I added an extra egg and also added pumpkin pie spice. I replace the coconut milk with rice milk because I can’t have coconut. For the crust, I use earth balance butter and my favorite gluten free flour mix (the link to it is on my home page…its from a cookbook that I own). I have found that you can’t really roll out the dough with gluten free flour pie crust. So I press it in the pan. So don’t be discouraged when you can’t roll it out! The whipped cream on top is Soyatoo (link on the home page or look at your nearest health food store). I dusted it with powdered sugar because it looks pretty;) Hope you had a wonderful Thanksgiving! Blend sugar, salt, and spices. Combine with pumpkin. Add beaten eggs. Stir in hot milk. To help prevent a soggy crust put a little egg white over pie crust before you put filling in. Pour into 9 inch pastry lined pie pan. Bake at 425 about 15 minutes until crust just starts to brown. Reduce heat to 350. Bake about 30 minutes until filling is set. Test by inserting knife into center.